Our goal is to help you find your individual, natural state of optimum Health and Harmony. Lesley is an experienced and well-qualified Therapist and Teacher, with a gentle but effective approach to your individualised plan of support. Whether you need a full day of relaxation, a reviving treatment, a Yoga class, or a weekend retreat in the beautiful North Yorkshire Moors, you'll find it here. Check out our services, and call us to make an appointment today! Yoga Classes for all abilities, including Hatha, chair based, fitness, pre and post-natal. Yoga Therapy. This includes suggestions on diet, lifestyle, relaxation, movement for strength and flexibility, massage if appropriate. Clinical Aromatherapy massage for aches and pains, pregnancy, hormonal balancing or pampering relaxation. Thai Yoga Massage to keep the muscles, joints, nerves and mind flexible and comfortable. Facials - including Aromatherapy and thermal stone treatments. Reiki. A beautiful, safe yet effective treatment. Treatments. Classes. 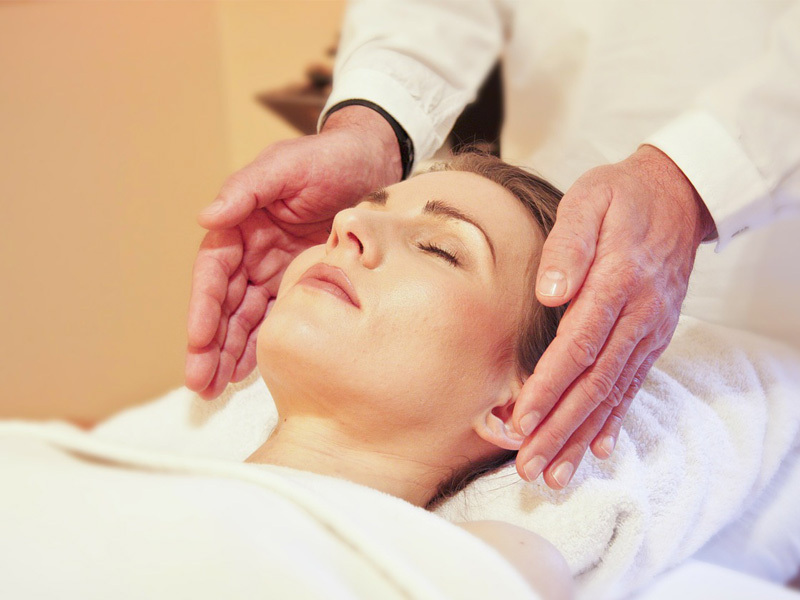 Attunements to all three levels of Reiki healing. A regular calendar of events, workshops, fundraisers, retreat days and weekends. Health in Harmony&colon; Realistic yoga for Real people&period; Health in Harmony: Realistic yoga for Real people. shared a post. Health in Harmony&colon; Realistic yoga for Real people&period; Health in Harmony: Realistic yoga for Real people. shared a photo. Lesley’s yoga class is a wonderful way to switch off from the hectic life we all have, whilst guiding us through both the theory and practice of yoga. My monthly Thai yoga massage with Lesley is an absolute pleasure, with one to one attention. I have absolute trust and confidence in Lesley. Almost five years ago I met my wonderful kind loving calm reiki master and yoga teacher Lesley and my spiritual path began. I have learnt to live in the present moment to relax and be patient through Lesley's yoga. Reiki blends naturally with yoga to deepen my holistic views and practice. Lesley is a big part of my reiki family always there to support me whenever she can. For the past ten years Lesley has kept this middle aged mum and grandma fit both mentally and physically. Her Yoga classes are special as they are designed for anyone and everyone to benefit and, with her qualified nursing background, she informs throughout classes and treatments alike which I find invaluable in helping me take charge of my own wellbeing. Lesley has attuned me to levels 1,2 and 3 Reiki and with the wonderful experience of the Thai Yoga Massage, I feel equipped to embark on a healthy and fulfilled old age..... I can’t thank or recommend her enough. Apart from the physical benefits of my yoga practice, it has also helped me achieve a calmer, more positive outlook on life and a general feeling of well-being.I’m not sure if yoga has changed my life but it has certainly changed for the better how I look at it and deal with it! I came to Lesley’s yoga classes as a complete novice and it has proved to be a gradual but more fascinating learning curve than I ever imagined. Through Lesley’s guidance, encouragement and support I am continually learning more about my own needs and what I am capable of and am looking forward to whatever I may discover next. Lesley will always go the extra mile to help with my yoga practice and always puts people at ease so I can enjoy and get the most out of my practice. With Lesley I have become more confident in my practice and supported and encouraged to aim for more stronger work. Lesley is the perfect stress buster and healer. She is mindful, caring and always seems to know exactly what you need and how to fix things. 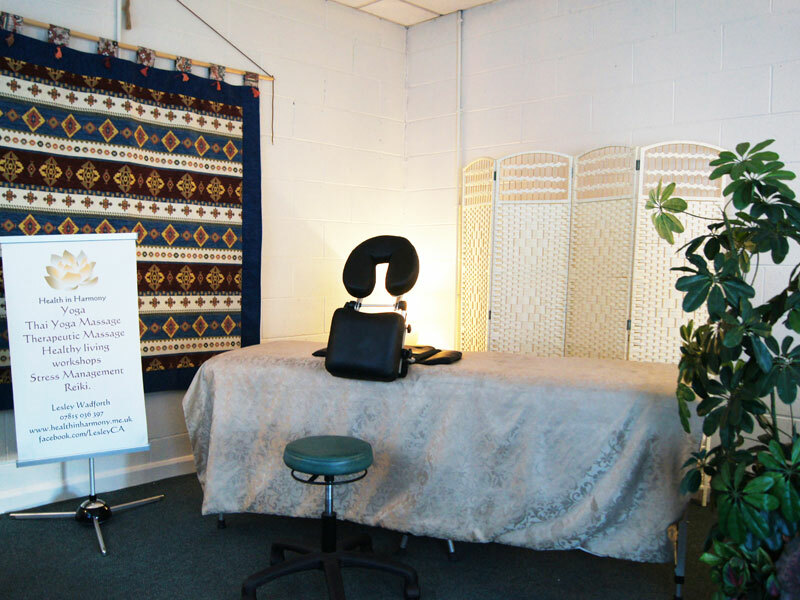 Whether your are looking for a perfect massage, reiki healing or a blissed out yoga session, she has an array of holistic therapy skills that will dramatically enhance your well-being. I would highly recommend Lesley to support, advise and treat you when you are needing help with body and joint movement. Her yoga has kept me supple and fit, even as a pensioner. As a qualified aroma therapist Lesley has taught me a number of self care approaches that our whole family use. The highlight of my past year has most definitely been Lesley of Health and Harmony. A weekend retreat, along with regular yoga practice and Reiki sharing has brought strength, balance, flexibility and fun into my life as well as an abundance of love, gratitude and a sense of spirituality which has been invaluable in an otherwise trying year. And she drives a Harley!